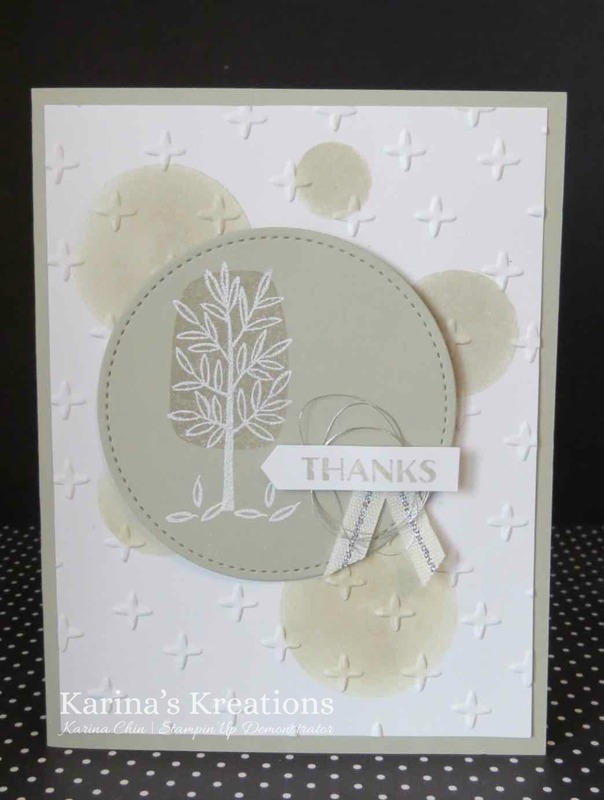 Karina's Kreations: Stitched Shapes Framelits! I made another cute card using the Stampin'Up Stitched Shapes framelits #145372. These framelits are available until Nov 30th! 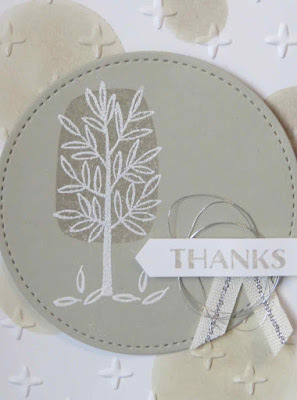 I used the circle shape and cut out Sahara Sand card stock. 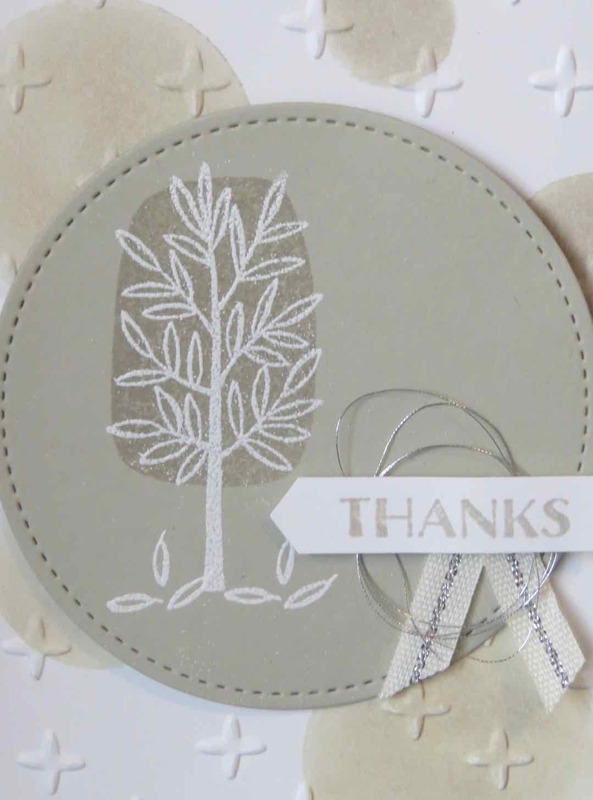 I stamped an image from totally trees with Sahara Sand Ink and the main tree with White Craft ink and embossed it with Whisper White embossing powder. Don't you just love the stitched detail on my main image? You get 12 dies in the Stitched Shaped framelits in circles, squares and oval shapes. To order your set please click here!